Pakenham is a town which is also referred to as a satellite town. The postcode of Pakenham is 3810 and it’s Geo location is Latitude: -38.073568055556 and Longitude: 145.48513083333. This reference is made in order to describe this small metropolitan area. Pakenham is located in the country of Victoria, Australia. It is an outlying district of the capital city Melbourne, and it is geographically situated right on the edge of West Gippsland. West Gippsland is a region in Victoria, Australia. Pakenham is a total of 56 kilometers away from the central business district of Melbourne. It is more towards the southeastern part of the district. According to the population census carried out in the year 2016, it has been reported that the population of the town had reached 46421. The name Pakenham was given to this town after a British general namely Sir Edward Pakenham, he fought in the war of Peninsula. He passed away during the Battle of New Orleans. Pakenham had its first post office inaugurated on the first of February in the year 1859. While on October 1st, 1971 the name of the post office was changed to Pakenham. 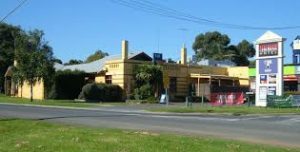 The post office which currently prevails in the town was opened in the year 1888 on the 11th of June; the name of the post office is Pakenham Railway Post office. According to a research it has been reported that almost 71 percent of the population of this town was born outside the country. The countries which have been included in the most common birthplaces of these people are England, New Zealand, India, Philippines, and Sri Lanka. The economic growth of this town has been amazing. Pakenham has managed to come out as a major developed suburb in the southeastern part of Melbourne. There have been various new projects introduced in the town which include housing developments. These have contributed a lot towards the boost in the town’s infrastructure and economy. People are coming from all corners of the country to settle down here. The most famous tourist attractions of Pakenham include Heritage springs, the Lakeside, and Cardinia Lake Estate.